One of the early pioneers of house and techno in Australia. Based in Adelaide and one of the main players behind Juice Records (Australia) which helped put Australian techno on the map from around 1991. D.J. HMC, DJ H.M.C, DJ H.M.C., H.M.C., HMC, IMC, Vitamin H.M.C., Vitamin HMC, Vitamine H.M.C. Proud that a fellow Aussie helped the techno/acid scene evolve back in the day. 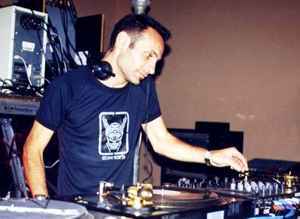 I used to play in Adelaide during its heyday of techno and HMC was god, why? because no one could do what he did. He would take tracks that no one thought to play because they were kinda boring and didn't really do much and not just play them in a set but build them into a perfectly timed soundtrack to the night. Sounds corny but there are only a small number of gifted djs on the planet who can do what he does. Plus he's a nice guy.